Welcome to WIW #6!! I know it seems like I do not have a ton hopping on the band wagon with this party but trust me when I say I do have fellow bloggers who email me personally to let me know they are in the same boat! 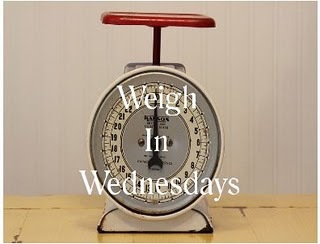 So I am determined to continue with WIW in hopes that eventually more fellow bloggers will want to join in on this crusade to a healthier better life! With that being said last week I shared that I gained 5 pounds while away on vacation. All of it was from eating pure crap and I must admit it is harder with summer being here to stay on track because it is sooo freaking hot outside ya really don't feel like doing any thing. Trust me I know!! I was though lucky enough to manage to loose 4 of those said 5 pounds I gained. How you may be wondering. Well I waited till the cooler evening hours and got outside and did some of this! I may be the odd man out when I say I LOVE mowing the grass! Don't ask me why but I just do and The Hubster is ever so grateful for it! ;) Now I have no idea how to trim or am I even able to turn the blower on but I do have to leave something for him to do! We also worked on removing more of our wood flooring which trust me is not an easy task! I was sore from head to toe for two days afterwards. Both things though helped me almost reach my goal. So what have you been up to this week? Are you needing cheering on to keep you going? Do you have a favorite work out routine or recipe you would like to share? Have you been able to loose some weight or even been able to keep off weight already lost? If so write a post let me know and I will add you to my linky list so we all can cheer each other on!! Together we can do this even though it seems very daunting at first. Pamela, I love to mow the grass, too but I do use a riding mower. 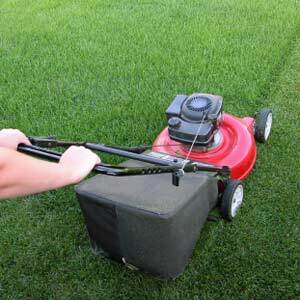 Then I do all the edging, trimming, and blowing. I am soaked with sweat and dirt by the time I finish. I have to start early enough to get it all done. I started and 7:30 in the morning yesterday before it got hot. Hey Pam! Sorry didn't post yesterday. I was at my Mom's cleaning her house all morning! Now that was a workout. LOL! I love mowing too but we having a riding mower. I used to do it all the time but the Mr. has reclaimed it from me. I still do the blowing and totally enjoy that as well. Crazy I know! I leave the edging to the Mr.though. Yard work is a great work out for sure! Hopefully I'll catch you next week. Hi Pamela! I just joined Weight Watchers. My weight is so out of control. Congrats on losing your vacation weight.